Dimensions 1.30 by 7.90 by 10 in. Amazon.com description: Product Description: The subject of thermodynamics deals with energy and has long been an essential part of engineering curricula all over the world. Its broad application area ranges from microscopic organisms to common household appliances, transportation vehicles, power generation systems, and even philosophy. 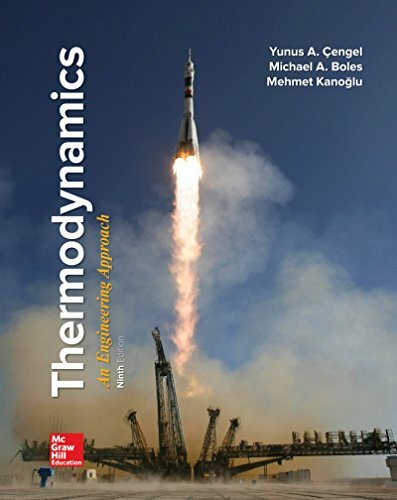 This introductory book contains sufficient material for two sequential courses in thermodynamics, and students are assumed to have an adequate background in calculus and physics. A conscious effort is made to emphasize the basic principles of thermodynamics while also providing students with a perspective of how computational tools are used in engineering practice. The traditional classical, or macroscopic, approach is used throughout the text, with microscopic arguments serving in a supporting role as appropriate. This approach is more in line with studentsâ intuition and makes learning the subject matter much easier.